Education is a vital tool that harnesses the economical and social growth factor of a country, as this will intentionally provide the masses with the awareness of the socio-economic scenario and the needed skills to enhance the progress of the country. 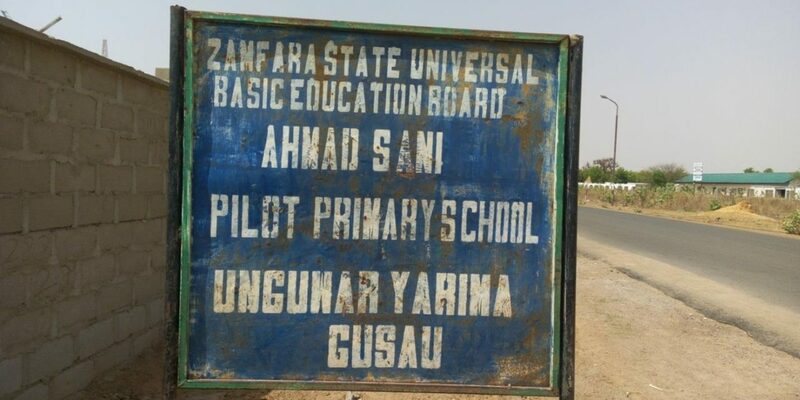 In a bid to promote accountability and curb corruption in the educational system, Follow The Money team during its data mining session fathomed out that Zamfara State Universal Basic Education Board has tendered for the Construction of a block of 12 classrooms storey building with verandah, at Gusua, Ahmad Sani Pilot Model Primary School, Zamfara. Follow The Money has initiated the #RefurbishAhmadSani campaign to track the transcendent implementation of the project. Through this campaign, we request that all concerned stakeholders especially the Zamfara State Universal Basic Education Board to proactively disclose information and uphold public interest through being accountable and transparent in the usage of the funds that have been released for this project. 1 May 2018: The community head, Alhaji Musa Abdullahi, appreciated the team’s visit to the community, especially for discussing this project. He also confirmed that the community had been sidelined since the inception of the work, and has made them feel irrelevant and sad. 1 May 2018: According to Alhaji Bilyaminu Rabi’u, the school SBMC chairman, he stated that the community does not have details of the project specifics. In addition, he complained that there is a very low community involvement in the ongoing project, making it difficult for the community to effectively monitor the ongoing construction. 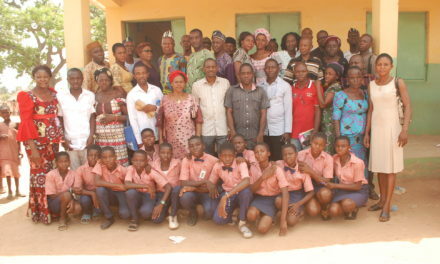 1 May 2018: During an interaction with the head teacher of the school, he explained how he met a deficit of classroom blocks when he resumed as the head teacher of the school, based on the population of the school, pupils were congested in all the classrooms, with about 150 children in a class. He initiated the process with the SBMC Chairman to write a request letter to the SUBEB management on the need for perimeter fencing and new blocks of the classroom to be built to accommodate the pupils. He also stated that he was aware of the project but did not have the specifics of the project. 1 May 2018: The team gathered that the school project is currently ongoing and was led to the project site by the headmaster, the community chief and other community stakeholders to inspect the project. 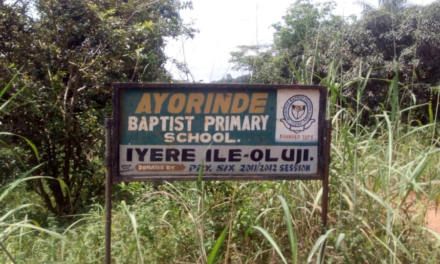 So far the perimeter fencing had been completed, with just the gate remaining to be fixed, the construction of classrooms and offices are still under construction and the construction of the toilet just commenced. 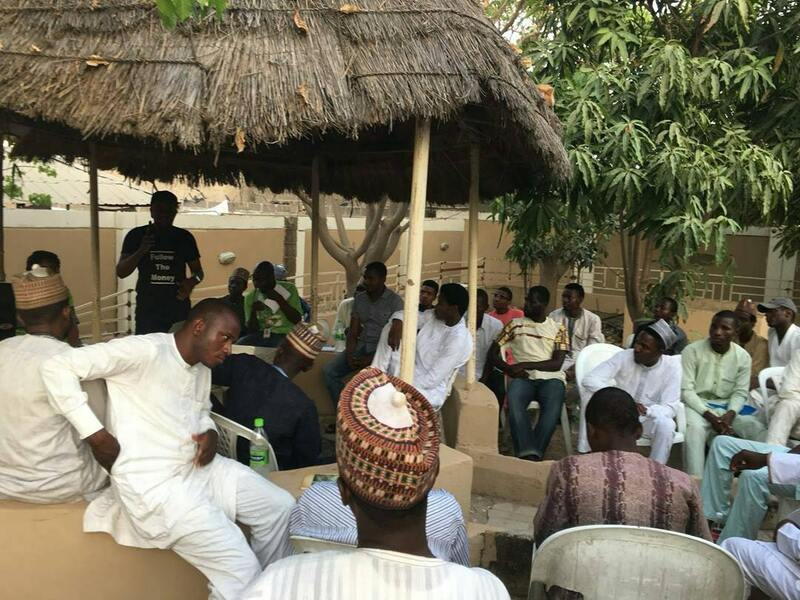 1 May 2018: Follow The Money team visited Ahmad Sani Yarima MPS on the #RefurbishAhamadSani campaign in Yarima Quarters, Gusau LGA and gathered that the community has an approximate population of 150,000 people who are majorly businessmen and civil servants. 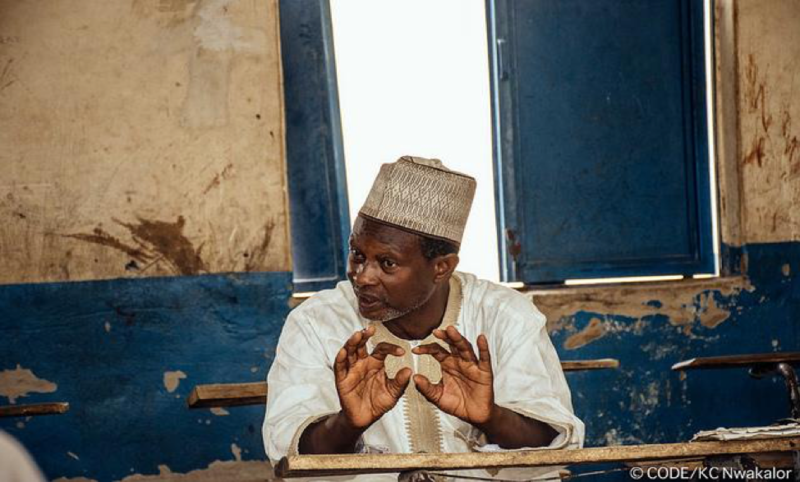 Currently, Ahmad Sani Yarima MPS has 22 teachers managing about 1,800 pupils inside 15 functional classrooms. 30 April 2018: As part of FTM engagement in Zamfara State, the team paid a courtesy visit to the Chairman, Zamfara SUBEB, to request for details of the current education projects which we are tracking in the state. The visit was also to request a reply for the FOI submitted to the Board that had not been replied. The meeting spiralled into other issues concerning teachers welfare and engaging sessions on proffering solutions to the lingering educational crisis in the state. 29 April 2018: The FTM Team had an engaging time with the Youths, Students and Members of the Press in Zamfara State. The sensitization event opened up discussions for youth inclusiveness and involvement in government spending, as well as in the quest for transparency, accountability and good service delivery across the State. 18 April 2018: For proper monitoring of the project and to provide technical oversight on the ongoing project, the team visited the SUBEB office in Zamfara to Submit the Freedom Of Information letter to the board’s chairman. The letter was received and acknowledged, and the community reporter exchanged contacts with ZASUBEB Chairman’s Personal Assistant. 16 April 2018: The team observed that there were some deviations from twelve blocks and verandah to eight blocks and verandah as advertised on the tender. All efforts to probe the contractor Alhaji Bello Sambo Birnin Ruwa Gusau, proved abortive as he refused to provide information on the contract amount and the reasons for the deviation stating that he cannot respond to any questions until he receives an order from the implementing agency. 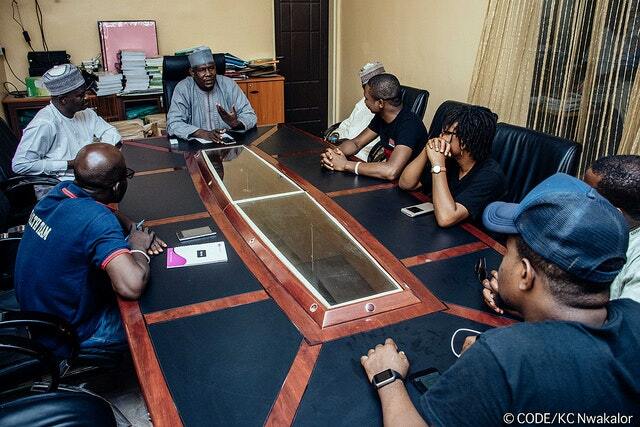 Subsequently, all efforts made to engage any representative of the benefiting community yielded no positive outcome as no one was available to speak with the team. 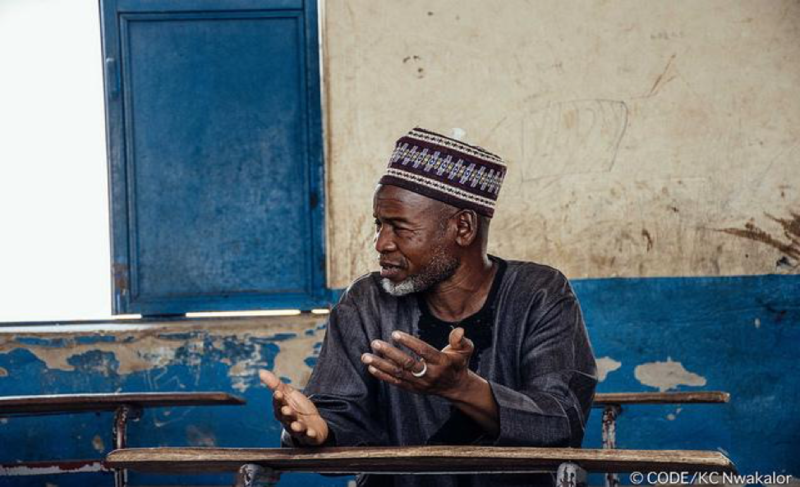 16 April 2018: The Follow The Money team was at Ahmad Sani to monitor the implementation of the school project and get a first-hand information on the extent of the work done so far. 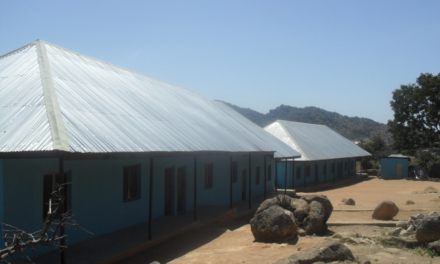 It was found out that the construction of eight classrooms and verandah have been erected up to the lintel level, labourers and contractor were seen on site doing their job.